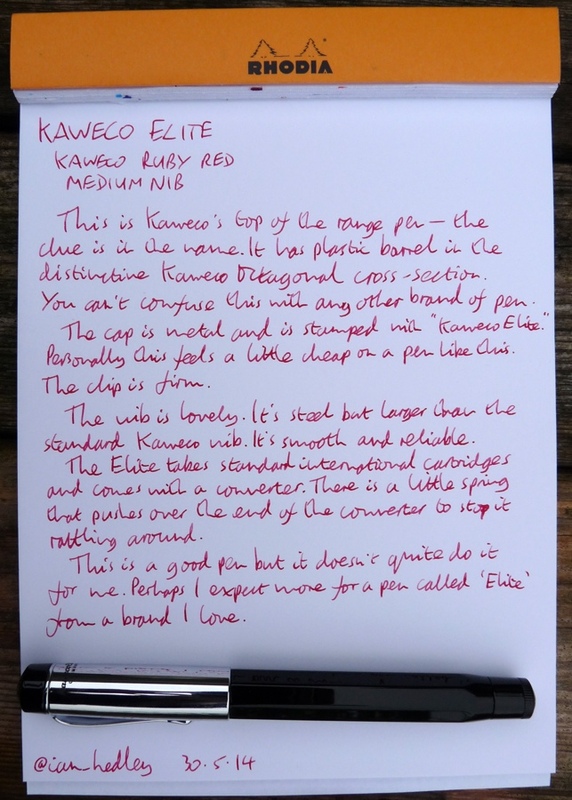 Kaweco Elite fountain pen review – Pens! Paper! Pencils! 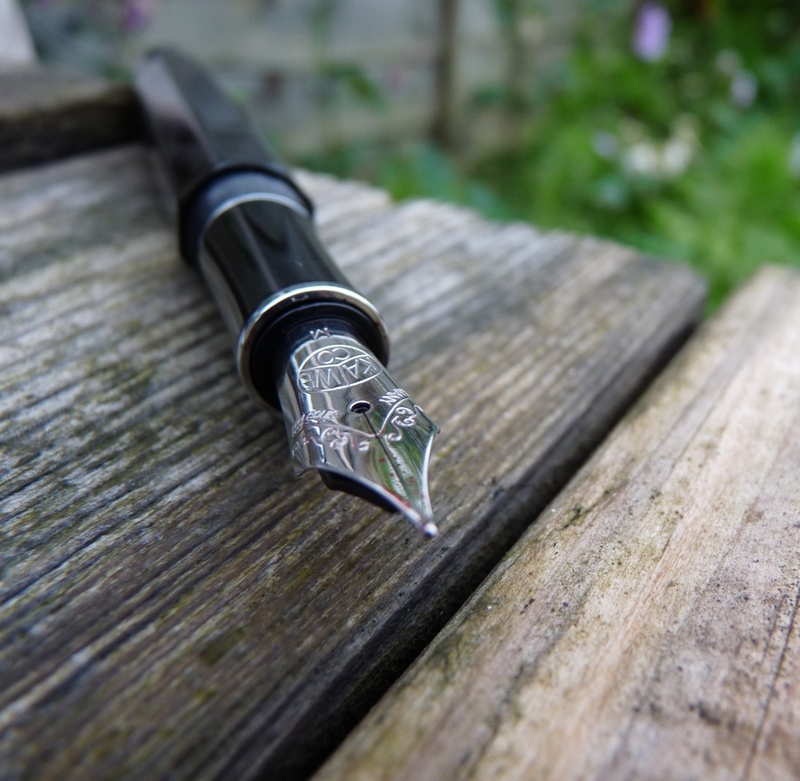 The Kaweco Elite is the top of the range Kaweco fountain pen. 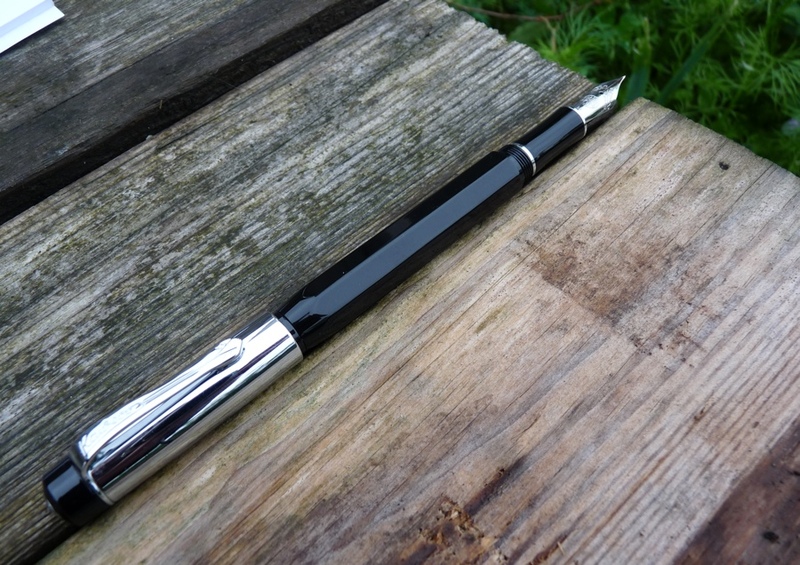 It’s a largish pen and is made from black acrylic resin (posh plastic), with a chrome plated cap. The barrel has the octagonal cross-section that makes the Sport line so distinctive. It’s well made, with a nice weight to it. The clip is firm and clips onto things, which is always a plus. The cap does post but only just and it unbalances the pen. The steel nib is larger than the usual Kaweco nib. It suits this pen very well. It’s smooth to write with and maintains a consistent line. Fine and broad versions are available in addition to this medium size. It’s a good nib and it adds some extra class to the pen. This is a cartridge/converter filling pen. 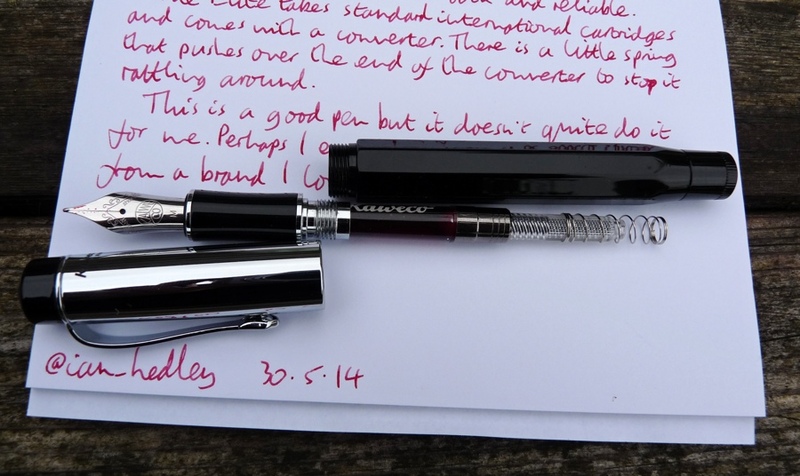 The included converter is a standard Kaweco one and is perfectly fine. Interestingly the Elite comes with a little spring that holds the converter in place to stop it rattling in the barrel. There is perhaps an argument that this shouldn’t be necessary but I have no end of pens, at all prices, that have rattly converters so I’m glad of something to stop it. Any international standard cartridge should fit if you’d prefer. I’ve thought long and hard about this pen. It’s a good pen. 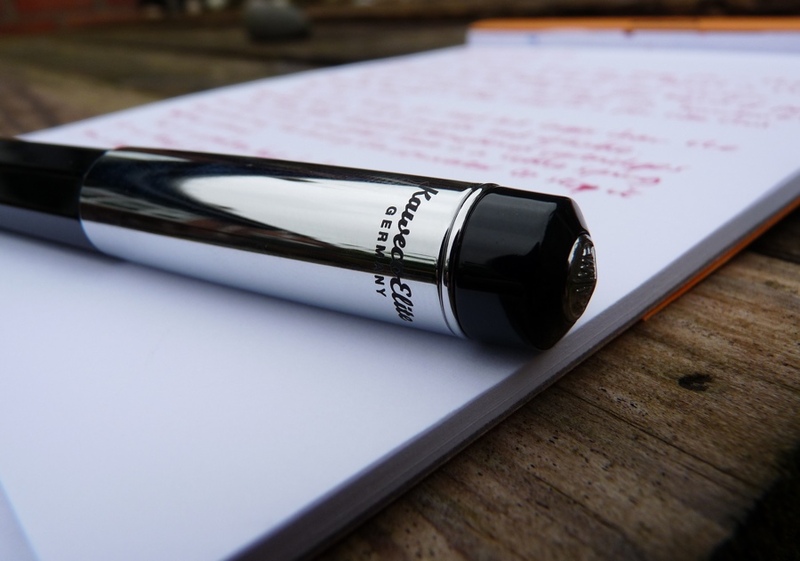 It looks good – very Kaweco-classy-retro – and it writes well. It just doesn’t quite feel like Kaweco’s elite pen. 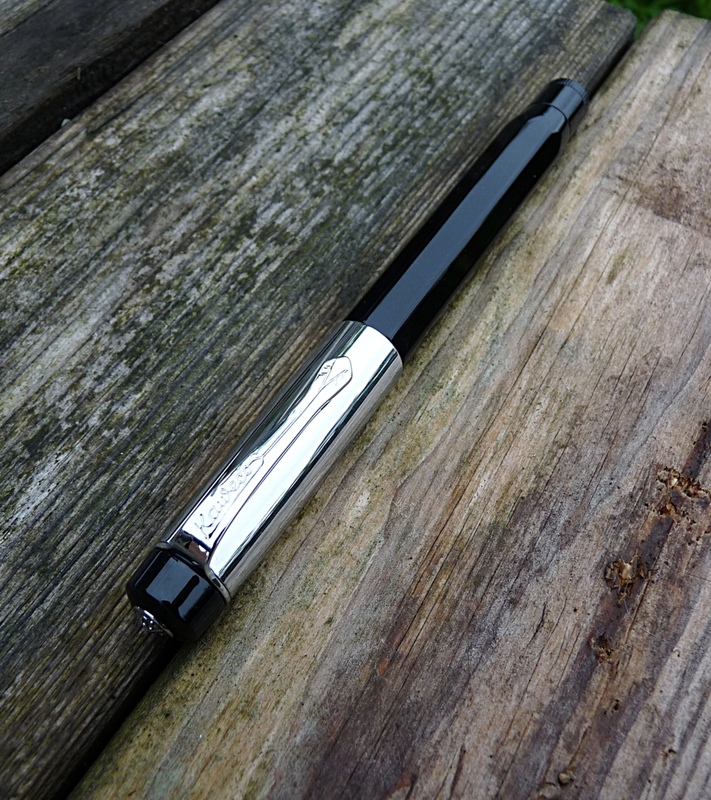 It ought to be the best pen Kaweco produce but it doesn’t have the beautiful engineering of the Sports (AC or AL) and it doesn’t have the charm of the Dia. It’s a good pen, not a special pen. Many thanks to Kaweco for loaning me this pen for the purposes of the review. I’ve done my best not to let their generosity influence my opinions. Thanks Ian for the review. I totally missed the spring on the converter, great idea as we share the frustration of rattly converters. I ran my test Elite with a cartridge and found our tastes similar. Thanks Bob. I find you and I often reach pretty much the same conclusions! Very well done, Ian. Kaweco seems to do fantastic things in the $70-100 range with pens like the AL Sport, but moving into the higher end near the $150 doesn’t seem to yield a greater result would you say? If anything, a bit of a let down? Hi Mike. Yes I’d agree that all the Sports, plus the Allrounder and Liliput are fantastic pens. The only one I’m not completely sold in in the lower price range is the Student. I was disappointed with the Elite but then the Dia 2 is one of my favourites. Your giveaway result email has just popped in, just as I was thinking of the Elite, which sent me off to your site to see if you’d reviewed it. 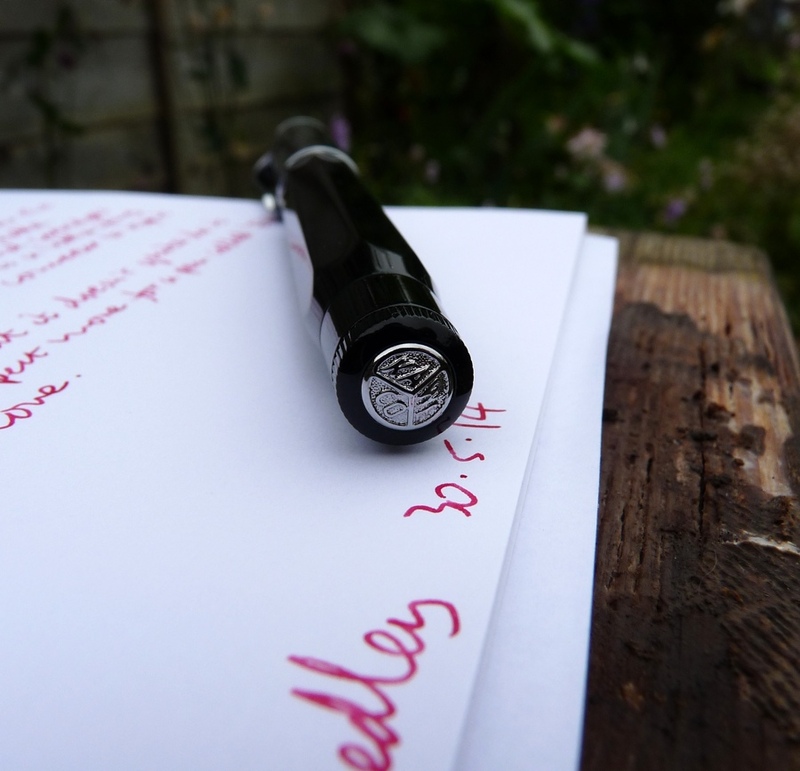 I’m bit late to the party Ian, but thanks for the review – I have the Dia 2 and love it, but the lack of an EF nib on the Elite is a no no to me. 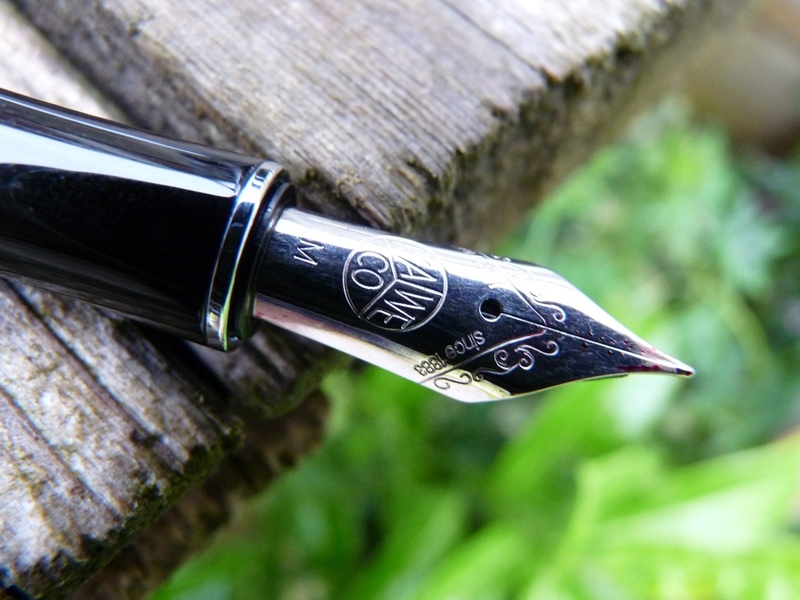 My handwriting is so small that a ‘o’ through a wet nib becomes a full stop.